Ever felt like you’re being watched? 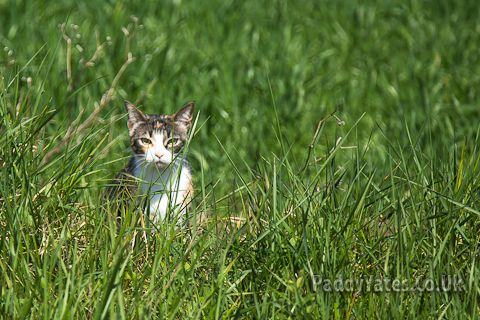 This little moggy was watching me whilst I tried to take a picture of a section of the Pyrénées. I almost fell into a ditch that was just in front of the grass in the foreground. The people who wanted the picture of the Mountains wondered what the hell I was doing as they were sat in the nice warm car and couldn't see this fellow.